US President Barack Obama's top counterterrorism adviser, John Brennan, who finished his trip to Yemen on Tuesday, didn't succeed in his mission to reach an agreement between the Yemeni opposition and Saleh's party that could end the current political crisis embroiling the poverty-stricken country, an opposition leader said on Tuesday. French President Nicolas Sarkozy said during a visit to Afghanistan on Tuesday that France will pull out 1,000 troops from its mission there by the end of 2012, as it speeds up its withdrawal with the United States. 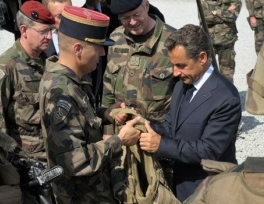 Sarkozy — on an unannounced five-hour visit to meet Afghan President Hamid Karzai and General David Petraeus and drop in on French troops in the region of Surobi — said France’s remaining soldiers would be based in Kapisa province. 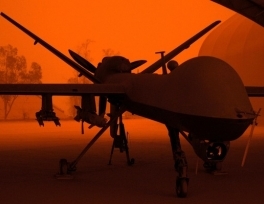 At least 45 suspected militants were killed by missiles launched by U.S. drone aircraft in Pakistan's northwest in less than 24 hours, local intelligence officials said on Tuesday, one of the largest death tolls to date in the controversial air bombing campaign. Coming a day after Washington announced an $800 million delay in military assistance amid worsening U.S.-Pakistan ties, the attacks could exacerbate tensions between the two uneasy allies in the war against militants. 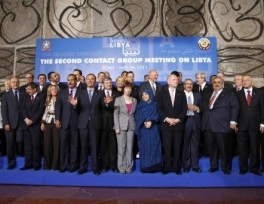 Libya Contact Group will gather Istanbul, Turkey, the fourth edition in the series of its meetings, on Thursday and Friday this week to continue discussing an exit-strategy from the Libya crisis. China and Russia, two powerful holders of permanent seats in the UN Security Council, are among the countries to whom Ankara has extended invitations for the next meeting of the Libya Contact Group to be held on Friday in İstanbul, a Turkish official announced on Tuesday. 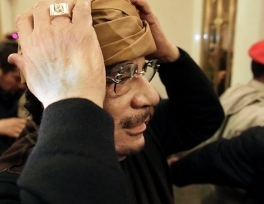 Libyan leader Muammar Gaddafi is facing dramatic shortages of fuel for his soldiers and citizens in Tripoli, and he is running out of cash to pay his forces and what is left of his government, according to the latest US intelligence reports. Every year Muslims in Russia celebrate birthday of Prophet Muhammad [peace be upon him] showing their respect and honor for the Messenger of Islam. In this video, Muslims in Dagestan gather to celebrate the birth of Prophet Muhammad [peace be upon him] in village Chirkey, Russia. 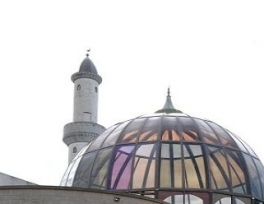 Imams have been told to include Australian values such as a fair go and tolerance when leading Friday prayers and speaking to Muslims. The instruction is part of a $55,000 federal training program that arose out of concern about Muslim integration into mainstream society. Program facilitator Hass Dellal, head of the Australian Multicultural Foundation, said religious leaders had received training in civics, core values and media awareness. 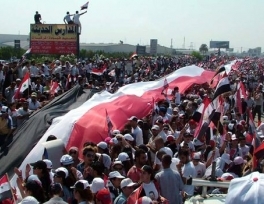 Syrian government supporters smashed windows at the US Embassy in Damascus on Monday, raised a Syrian flag and scrawled graffiti calling the American ambassador a "dog" in anger over the envoy's visit to an opposition stronghold, witnesses said. “The charge will be called here. (Syria) has not lived up to its international obligations,” State Department spokeswoman Victoria Nuland said, explaining that the Syrian ambassador was on vacation. Iran's Foreign Minister Ali-Akbar Salehi opened the Islamic republic's first embassy in Ljubljana on Monday and said that his country is willing to develop ties with Slovenia. 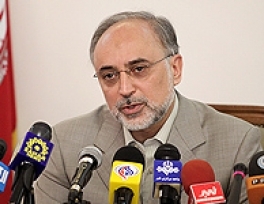 Hours after his arrival in Slovenia, Salehi inaugurated the Iranian embassy in Ljubljana and said that Iran is keen on enhanced trade and cultural ties with Slovenia, the official IRNA news agency reported. 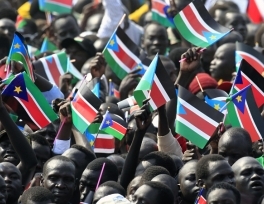 South Sudan formed a caretaker government and announced on Monday it will use a new currency that features the image of the deceased founder of the nation's liberation struggle. The new African nation became an independent on Saturday, breaking away from Sudan after more than 50 years of on-and-off war. David Deng Athorbie, the new finance minister, said the new currency would be called the South Sudan pound and will replace the Sudan pound currently in use.